Kugyo will be at San Francisco Zen center from this week for 6 days a week attending zen practice session. She will be back at our zendo on Sundays. She wrote a letter to friends and family describing her thoughts. Here is the copy of her letter. 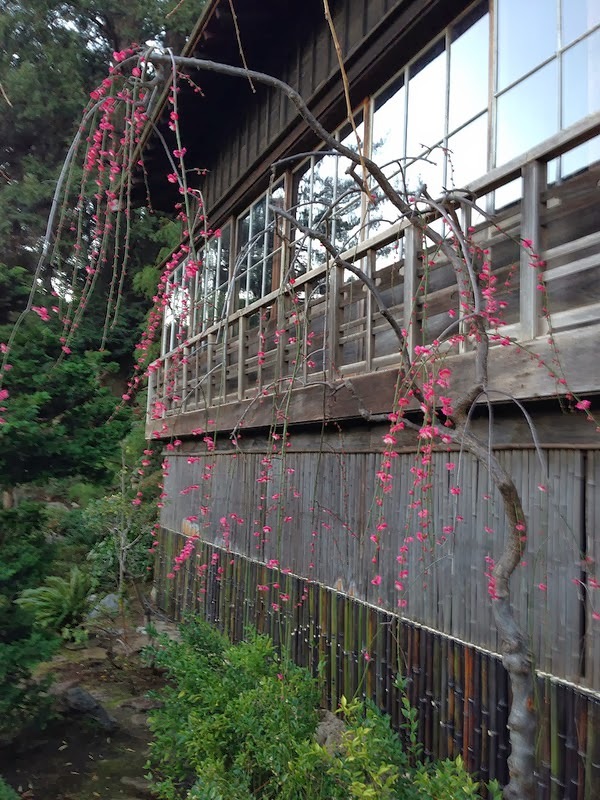 Beginning January 21st , I will be participating in a residential Zen practice period at San Francisco Zen Center for 9 weeks, finishing March 28th . During that time I will not be using e-mail, but will be available, if necessary, by phone at 408-354-3238. You may leave a message if necessary and I will return the call when able. I am looking forward to this experience with both excitement and apprehension. It will be an experience in monastic living (not cloistered!) with the time scheduled between zazen (meditation) and Zen services, work periods (manual labor keeping the center clean and up to snuff), class participation, and sewing (I am sewing an okesa (robe) which is necessary should I make the decision to become a Zen priest. In a way, it is kind of like a spiritual sabbatical with days beginning at 5 a.m. and ending at 9 p.m. It is not done in silence, but rather mindfulness. Most weeks I will be home with Fred and our dog Hana on Sun. My intention for that day is to stay within the spirit of simplicity and mindfulness, and not get caught up in work tasks like grocery shopping, bill paying, house cleaning, etc. (Although I dearly hope the SF 49ers are in the Super Bowl, it will be a very tempting challenge to not watch the game….). I also will maintain contact with my mom and my sons. Many have asked me why I am doing this and what I hope to get out of it. Simply stated: I really cannot give a logical or rational answer. My life keeps unfolding in such a way that says: “this is the next step to take.” Like falling in love, whether with an individual, a profession or talent, an idea, or a pet….it just happens. Lots of rational explanations can be offered, but none really speak to the draw of the heart toward something. Some have asked if my intention is to become a Zen priest, and even that cannot be answered at this time. There obviously is some attraction to it and at this time I am not ready to take that definite and formal step. What will occur in the future is unknown as it always is, despite what we may be planning or expecting. So we shall see. Through all this my dear husband Fred has been supportive, encouraging me to make the decision without pressure either way from him. It is a decision that has definite impact on him as he will be not only picking up pieces that I have previously managed, but will do so mostly alone. We will be celebrating out 25th wedding anniversary on Jan 28th …..and there is a certain upside-down-ness in our being apart on that day. What a statement of love he is making and that I am realizing…being apart in the gift of love. I am so very lucky! You, my family and friends, have shared portions of our journeys together. I appreciate your interest and your concerns…..your encouragement and your acceptance while not understanding. You each, directly or indirectly, have contributed to my coming to this time of decision. Thank you for who you are and for sharing yourself with me. In Zen Buddhism, gassho is a term indicating a bow, with hands together, in respect and appreciation to another. And so…..